Can you believe it is Spring?! It is always such a fun time of year, and I could not be more excited. It has been a crazy past few days but I'm excited it is FINALLY the weekend! YAY!! 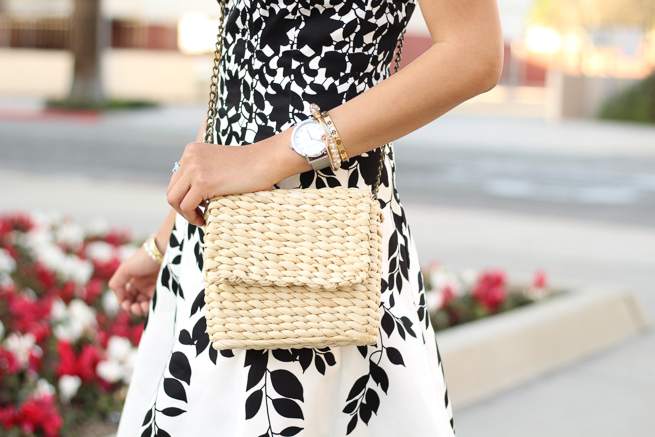 Today I am sharing this really cute black and white floral dress- I love the silhouette. I am usually a fan of colorful floral print but this mutted combination is simple. And, lately simple is my friend. I also love how easilly it can be paired with other accessories to give it a different look. Next, I am planning on wearing it with colorful shoes.